CIMtech Mfg. offers two decades of experience in Multi Axis CNC Machining. 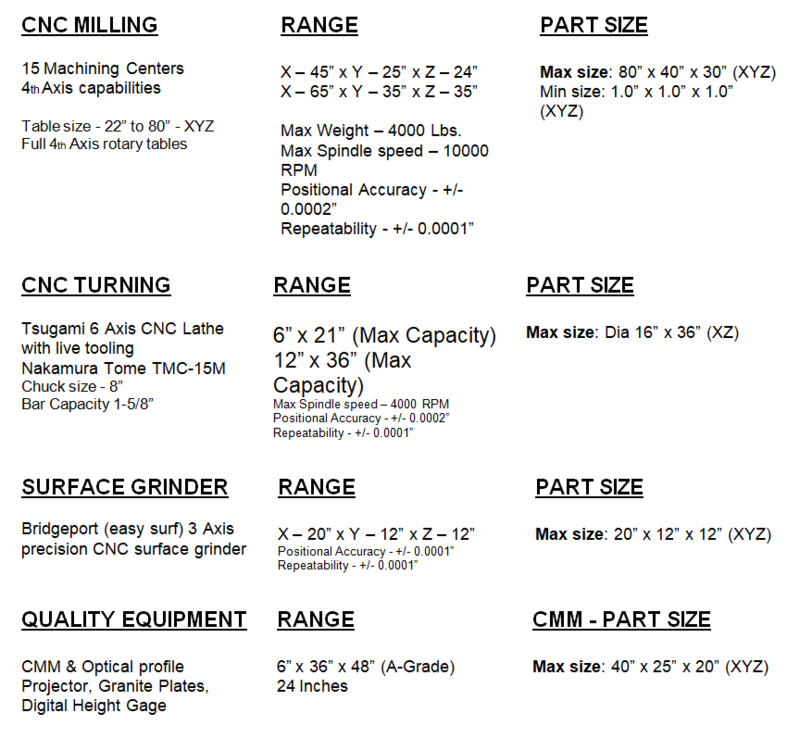 Precision CNC Milling & Turning services. We also provide value added services for Sub-Assemblies. Modern Equipment to run High Volume, Close-Tolerance Parts. High-speed milling and multi-axis turning capabilities can manufacture complex shapes in single set-up, with micro-millimeter precision. Reduce your production costs, time to market and potential errors. Our CNC Milling processes are cost-effective for multiple fixturing to machine Prototypes and short run Production. 20 CNC machines with 4th & 5th Axis capabilities. Digital Work Flow – ERP systems. Fully traceable Quality Assurance Systems. Complete sub-assemblies, CNC parts, Prototyping to Production. Technical staff including CNC Machinists & Manufacturing Engineers. Gage block sets, pin GAGES, digital micrometers, bore gages, depth micrometers, thread micrometers, calipers 6″-24″, drop gages, pin micrometers, 1-2-3 and 2-4-6 blocks, angle plates, sine gages, travel indicators, groove gages, etc. Fabrication Equipment: Manual surface grinders, manual lathe, Bridgeport mill, sanders, drill press, vertical and horizontal band saw & vibratory tumbler. Assembly Equipment: Pneumatic Heli coil drivers, arbor presses, assembly benches, and a full array of assembly hand tools and equipment. Secondary Processes: Anodizing, Painting, Black oxide, Powder Coating, Zinc Plating, Clear Chromate, welding and sub-assemblies.